Position: Full Professor in the Chemistry department, Bar-Ilan University. Professional experience: Leading a research group focusing on drug development and diagnostics, involved in national and international collaborations both in academia and industry for the last 20 years. Education: MSc degree in Medicinal Chemistry (chemistry of carbohydrates) under the supervision of Prof. A. Nudelman/BIU; PhD in Organic Chemistry (chemistry of heterocycles)/BIU under the supervision of Prof. A. Hassner; Post-doctorate (chemistry of nucleosides and nucleotides, molecular modeling) under the supervision of Dr. K. Jacobson/NIH, MD, USA. Teaching experience: Courses in - Medicinal Chemistry, Biochemistry, Inorganic Chemistry, Modern Strategies in Drug Design, Bio-in-organic Chemistry, Bio-organic seminar, and Organic Chemistry Laboratory. Over 110 papers and 10 patents. Membership: Vice dean of Scool of advanced studies, Bar-Ilan U senate member, member of the Israel Prize committee (in the field of Chemistry and Physics), former head of the Chemistry department, former Rector’s advisor for promotion of women in academia; Member of the Board of Executives of the Israeli Chemical Society, MSc Degree committee, PhD Degree committee, Referee of the Israeli Science Foundation committee, Referee of the Fulbright Foundation, Departmental Teaching committee, Member of the University Appointment and Promotion committee. General – I believe that Israel, which is almost devoid of natural resources, should focus on its human resources, in particular on scientists and engineers, to promote the Israeli economics. We, as scientists, must take part of this effort to promote science in Israel. 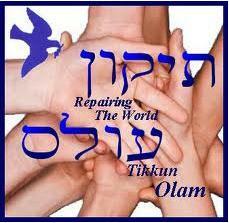 Drug Development - I believe that we as medicinal chemists take part in TIKUN OLAM = we Make the World a Better Place. This is our duty and privilege. Industry – Currently there is some gap between academia and industry, which I believe should be bridged by joining forces and working-out common initiatives. Community - I believe that the academia is like Aladdin’s treasure cave. The numerous treasures of knowledge should be shared with community. 1. A Novel Method for Stereoselective Glucuronidation. Fischer, B.; Nudelman, A.; Ruse, M.; Hertzig, J.; Gottlieb H. E.; Keinan, E. J. Org. Chem. 1984, 49, 4993-4988. 2. Studies in Sugar Chemistry. 2. A Simple Method for O-Deacetylation of Polyacylated Sugars. Hertzig, J.; Nudelman, A.; Gottlieb H. E.; Fischer, B. J. Org. Chem. 1986, 51, 727-730. 3. 4,5 and 2,5-Additions to Oxazoles. Hassner, A.; Fischer, B. Tetrahedron, 1989, 45, 6249-6262. 4. Do Oxazoles Undergo Diels-Alder Reactions with Heterodienophiles? Hassner, A.; Fischer, B. Tetrahedron, 1989, 45, 3535-3546. 5. Nitrile Additions to C, N-Diacylimines. Formation of 4-Amidooxazoles. Hassner, A.; Fischer, B. J. Org. Chem. 1990, 55, 5225-5229. 6. Intramolecular Formation of Oxazolium Salts and their Reaction with N- and C-Nucleophiles. Hassner, A.; Fischer, B. Tet. Lett. 1990, 31, 7213-7214. 7. Novel Heterocycles by Bis Heteroannulation of Oxazoles. Hassner, A.; Fischer, B. J. Org. Chem. 1991, 56, 3419-3425. 8. Multipath Reactions between Intramolecularly Formed Oxazolium Salts and Nucleophiles. Hassner, A.; Fischer, B. J. Org. Chem. 1992, 57, 3070-3075. 9. Unusual Transformations of Azomethine Yilides Including an Unsymmetrical Dimerization. Fischer, B.; Hassner, A.; Wolk, J. L. Acta Chem. Scand. 1993, 47, 191-195. 10. New Chemistry of Oxazoles. Hassner, A.; Fischer, B. Heterocycles 1993, 35, 1441-1465. 11. Structure Activity Relationships of 8-Styrylxanthines as A2 Selective Adenosine Antagonists. Gallo-Rodriguez, C.; Melman, N.; Fischer, B.; Maillard, M.; van Bergen, A.; van Galen, P. J. M.; Katon, Y.; Jacobson, K. A. J. Med. Chem. 1993, 36, 1333-1342. 12. Structure Activity Relationships for 2-Thioether Derivatives of Adenosine-5’-triphosphate as Agonists at P2 Purinoceptors. Fischer, B.; Boyer, J. L.; Hoyle, C.; Ziganshin, A.; Ralevic, V.; Knight G.; Brizzolara, A.; Zimmet, J.; Burnstock, G.; Harden, T. K.; Jacobson, K. A. J. Med. Chem. 1993, 36, 3937-3946. 13. Structure Activity Relationships for Derivatives of Adenosine-5’-triphosphate Agonists at P2 Purinoceptors. Burnstock, G.; Fischer, B.; Maillard, M.; Boyer, J. L.; Hoyle, C.; Ziganshin, A.; Ralevic, V.; Knight G.; Brizzolara, A.; von Isakovics, A.; Harden, T. K.; Jacobson, K. A. Drug Dev. Res. 1994, 31, 206-219. 14. Comparative Studies on the Affinities of ATP Derivatives to P2X-Purinoceptors in Rat at Urinary Bladder. Bo, X.; Fischer, B.; Maillard, M.; Jacobson, K. A.; Burnstock, G. Br. J. Pharm. 1994, 112, 1151-1159. 15. Structure Activity Relationships of N6-Bezyladenosine-5’-uronamides as A3 Adenosine Agonists. Gallo-Rodriguez, C.; X.-D. Ji; Melman, N.; Siegman, B. D.; Sanders, L. H.; Orlina, J.; Fischer, B.; Pu, Q.; Olah, M. E.; van Galen, P. J. M.; Stiles, G. L.; Jacobson, K. A. J. Med. Chem. 1994, 37, 636-646. 16. 2-Thioether derivatives of adenine nucleotides are exceptionally potent agonists at adenylyl cyclase-linked P2Y-purinoceptors. Boyer, J. L.; O’Tuel J. W.; Fischer, B.; Jacobson, K. A.; Harden, T. K. Br. J. Pharmacol. 1995, 116, 2611-2616. 17. Modeling the P2Y purinoceptor using rhodopsin as template. van Rhee, A. M.; Fischer, B.; van Galen, P. J. M.; Jacobson, K. A. Drug Desig. Deliv. 1995, 13, 133-154. 18. A ‘cleavable Trifunctional’ approach to receptor affinity labeling: regeneration of binding to A1-adenosine receptors. Jacobson, K. A.; Fischer, B.; X.-D. Ji. Bioconj. Chem. 1995, 6, 255-263. 19. Molecular probes for muscarinic Receptors: Functionalized congeners of selective muscarinic antagonists. Jacobson, K. A.; Fischer, B.; van Rhee, A. M. Life Sci. 1995, 56, 823-830. 20. Identification of potent P2Y-purinoceptor agonists that are derivatives of adenosine 5’-monophosphate. Boyer, J. L.; Siddiqi, S.; Fischer, B.; Romero-Avila, T.; Jacobson, K. A.; Harden, T. K. Br. J. Pharmacol. 1996, 116, 1959-1964. 21. Diethyl chlorophosphite – A mild reagent for efficient reduction of nitro compounds to amines. Fischer, B.; Sheihet, L. J. Org. Chem. 1998, 63, 393-395. 22. Acetyl chloride-methanol as a convenient reagent for: A) quantitative formation of amine hydrochlorides; B) carboxylate ester formation; C) mild removal of N-tert-Boc-protective group. Bechor, Y.; Falb, E.; Fischer, B.; Wexler, B.A. ; Nudelman, A. Syn. Comm. 1998, 28, 471-474. 23. Therapeutic aApplications of ATP-(P2)-receptors agonists and antagonists. Fischer, B.; Sheihet, L. Exp. Opin. Therp. Patents 1999, 9, 385-399. 24. Characterization of mini-nucleotides as P2X-receptor agonists in rat cardiocyte culture. An Integrated Synthetic, Biochemical and Theoretical Study. Fischer, B.; Yefidoff, R.; Major, D. T.; Rutman-Halili, I.; Shneyvays, V.; Zinman, T.; Jacobson, K. A.; Shainberg, A. J. Med. Chem. 1999, 42, 2685-2696. 25. 2-Thioether-5’-O-(1-thiotriphosphate) adenosine derivatives as new insulin secretagogues acting through P2Y-receptors. Fischer, B.; Chulkin, A.; Boyer, J. L.; Harden, T. K.; Gendron, F.-P.; Beaudoin, A. R.; Chapal, J.; Hillaire-Buys, D.; Petit, P. J. Med. Chem. 1999, 42, 3636-3646. 26. Molecular recognition of modified adenine nucleotides by the P2Y1-receptor. I. A synthetic, biochemical and NMR approach. Halbfinger, E.; Major, D. T.; Ritzmann, M.; Ubl, J.; Reiser, G.; Boyer, J. L.; Harden, T. K.; Fischer, B.; J. Med. Chem. 1999, 42, 5325-5337. 27. Molecular recognition of modified adenine nucleotides by the P2Y1-receptor. II. A computational approach. Major, D. T.; Halbfinger, E.; Fischer, B. J. Med. Chem. 1999, 42, 5338-5347. 28. A facile synthesis of (15N2) malononitrile. Laxer, A.; Fischer, B. J. Label. Comp. Radiopharm. 2000, 43, 47-53. 29. Synthesis, mechanism and properties of 8-(aryl)-3-b-D-ribofuranosylimidazo [2,1-i] purine 5’-phosphate derivatives. Fischer, B.; Kabha, E.; Gendron, F.-P.; Beaudoin, A. R. Nucleosides and Nucleotides 2000, 19, 1033-1054. 30. Novel nucleoside triphosphate diphosphohydrolase inhibitors: Synthesis, biochemical and pharmacological characterization. Gendron, F.-P.; Halbfinger, E.; Fischer, B.; Duval, M.; D’Orleans-Juste, P.; Beaudoin, A. R. J. Med. Chem. 2000, 43, 2239-2247. 31. P2-Receptor agonists – From molecular recognition studies to potential clinical applications. Fischer, B. Drug Dev. Res. 2000, 50, 338-354. 32. Inhibitors of NTPDase: Key players in the metabolism of extracellular purines. Gendron, F.P. ; Halbfinger, E;. Fischer, B.; Beaudoin, A.R Advan. Experiment. Biol. 2000, 486, 119-123. 33. Novel adenosine 5’-triphosphate analogue with potential for P2Y1-receptor isolation pharmacologically characterized in HEK 293 cells highly expressing the rat brain P2Y1-reecptor. Zundorf, G.; Schafer, R.; Vohringer, C.; Halbfinger, E.; Fischer, B.; Reiser, G. Biochem. Pharmacol. 2001, 61, 1259-1269. 34. (15N5)-Labeled adenine derivatives. Synthesis and tautomerism studies by 15N NMR spectroscopy and theoretical calculations. Laxer, A.; Major, D. T.; Gottlieb, H.; Fischer, B. J. Org. Chem. 2001, 66, 5463-5481. 35. 2-Thioether-5’-O-(1-thiotriphosphate) adenosine derivatives as new insulin secretagogues acting through P2Y-receptors. II. Pharmacological evaluation and chemical stability of 2-benzylthioether-5’-O-(1-thiotriphosphate)-adenosine. Hillaire-Buys, D.; Shahar, L. M.; Fischer, B.; Chulkin, A.; Linck, N.; Chapal, J.; Loubatieres-Mariani, M. M.; Petit, P. Drug Dev. Res. 2001, 53, 33-43. 36. Diethyl chlorophosphite – a versatile reagent. Jie, Z.; Rammoorty, V.; Fischer, B. J. Org. Chem. 2002, 67, 711-719. 37. Protonation studies of modified adenine and adenine nucleotides by theoretical calculations and 15N NMR. Major, D. T.; Laxer, A.; Fischer, B. J. Org. Chem. 2002, 67, 790-802. 38. 5’-O-(1-Boranotriphosphate)-adenosine derivatives as novel P2Y1-receptor agonists. Nahum, V.; Ubl, J.; Reiser, G.; Levesque S.; Beaudoin, A. R.; Fischer B. J. Med. Chem. 2002, 45, 5384-5396. 39. Characterization and elucidation of coordination requirements of adenine nucleotides complexes with Fe(II). Richter, Y.; Fischer, B. Nucleosides Nucleotides Nucleic Acids 2003, 22, 1757-1780. 40. Photoaffinity labeling on magnetic microspheres (PALMm) methodology for topographic mapping: preparation of PALMm reagents and demonstration of biochemical relevance. Halbfinger, E.; Gorochesky, K.; Levesque, S. A.; Beaudoin, A. R.; Sheihet, L.; Margel, S.; Fischer, B. Org. Biomol. Chem. 2003, 1, 2821 - 2832. 41. Theoretical study of the pH-dependent photophysics of N1,N6-ethenoadenine and N3,N4-ethenocytosine. Major, D. T. and Fischer, B. J. Phys. Chem. 2003, 107, 8923 - 8931. 42. Inorganic boranophosphate: A novel inorganic phosphate mimic. Preparation, Characterization, and Properties. Nahum, V. and Fischer, B. Eur. J. Inorg. Chem. 2004, 4124 - 4131. 43. Molecular recognition in purinergic receptors. Part 1. A comprehensive computational study of the h-P2Y1-receptor. Major, D. T. and Fischer, B. J. Med. Chem. 47, 2004, 4391-4404. 44. Molecular recognition in purinergic receptors. Part 2. Stereo- and diastereo-selectivity of the h-P2Y1-receptor. Major, D. T., Nahum, V., Y. Wang, G. Reiser, and B. Fischer. J. Med. Chem. 47, 2004, 4405-4416. 45. Subtype specific internalization of P2Y1 and P2Y2 receptors induced by novel adenosine 5’-O-(1-boranotriphosphate) derivatives. Tulapurkar, M. E.; Laubinger, W.; Nahum, V.; Fischer B.; Reiser, G. Br. J. Pharmacol. 2004, 142, 869-878. 46. Fluorescent ATP analogues for probing physicochemical properties of proteins. Synthesis, biochemical evaluation, and sensitivity to physicochemical properties of the medium. E. Sharon, G. Zündorf, S. A. Levesque, A. R. Beaudoin, G. Reiser, and B. Fischer. Bioorg. Med. Chem. 2004, 12, 6119-6135. 47. Diadenosine- and diuridine-poly(borano)phosphate analogues: Synthesis, chemical and enzymatic stability, and activity at P2Y1 and P2Y2-receptors. V. Nahum, M. Tulapurkar, S. A. Levesque, J. Sevigny, G. Reiser, and B. Fischer. J. Med. Chem. 2006, 49, 1980-1990. 48. Fluorescent N2,N3-e-Adenosine: Synthesis and Spectroscopic Properties. E. Sharon, A. Levesque, D. Ecke, J. Sevigny, G. Reiser, and B. Fischer. ChemBioChem, 2006, 7, 1361-1374. 49. Nucleotides and inorganic phosphates as potential antioxidants. Y. Richter, and B. Fischer. J. Biol. Inorg. Chem. 2006, 11, 1063-1074. 50. Opposite diastereoselective activation of P2Y1 and P2Y11 nucleotide receptors by adenosine 5'-O-(1-boranotriphosphate) analogues. D. Ecke, M. Tulapurkar, V. Nahum, B. Fischer, and G. Reiser. Br. J. Pharmacol. 2006, 149, 416 – 423. 51. Molecular recognition of adenosine deaminase. 15N NMR studies. A. Laxer, H. E. Gottlieb, and B. Fischer. Nucleosides, Nucleotides and Nucleic Acids, 2007, 26, 161-180. 52. Structure and ligand-binding site characteristics of the human P2Y11 nucleotide receptor deduced from computational modelling and mutational analysis. J. Zylberg, D. Ecke, B. Fischer, and G. Reiser. Biochem. J. 2007, 405, 277-286. 53. Can nucleotides prevent Cu-induced oxidative damage? R. Baruch-Suchodolsky and B. Fischer. J. Inorg. Biochem. 2008, 102, 862-881. 54. Cu(I)/Cu(II)/Fe(II)-Complexes of soluble Aβ1-28 are potent antioxidants. R. Baruch-Suchodolsky and B. Fischer. Biochemistry, 2008, 47, 7796-7806. 55. Diastereoselectivity of the P2Y11 nucleotide receptor: mutational analysis. D. Ecke, B. Fischer, G. Reiser. Br. J. Pharmacol. 2008, 155, 1250-1255. 56. Identification of hydrolytically stable and selective P2Y1-receptor agonists. S. Elyahu, J. Camden, J. Lecka, G. A. Weisman, J. Sévigny, S. Gélinas, and B. Fischer. Eur. J. Med. Chem. 2009, 44, 1525-1536. 57. Aβ40, either soluble or aggregated, is a remarkably potent antioxidant in cell – free oxidative systems. R. Baruch-Suchodolsky and B. Fischer. Biochemistry, 2009, 48, 4354-4370. 58. 5-OMe-UDP is a potent and selective P2Y6-receptor agonist. T. Ginsburg-Shmuel, M. Haas, M. Schumann, G. Reiser, O. Kalid, N. Stern, and B. Fischer. J. Med. Chem., 2010, 53, 1673–1685. 59. Oligonucleotides as potent antioxidants. E. Zobel, E. Yavin, H. E. Gottlieb, M. Tzion, and B. Fischer, JBIC, 2010, 15, 601-620. 60. A novel insulin secretagogue based on a dinucleoside polyphosphate scaffold. S. Eliahu, H. M. Barr, J. Camden, G. A. Weisman, and B. Fischer. J. Med. Chem., 2010, 53, 2472–2481. 61. 2-MeS-β,γ-CCl2-ATP is a potent agent for reducing intraocular pressure. S. Eliahu, A. Martín-Gil, M. Perez de Lara, J. Camden, G. A. Weisman, J. Lecka, J. Sévigny and B. Fischer. J. Med. Chem., 2010, 53, 3305–3319. 62. An improved one-pot synthesis of nucleoside 5’-triphosphate analogues. I. Gillerman and B. Fischer. Nucleosides, Nucleotides and Nucleic Acids 2010, 29, 245-256. 63. Neither Ab28 nor a combination of Ab28 and physiological reductants trigger enhanced production of OH radical in cell - free oxidizing systems. R. Baruch-Suchodolsky and B. Fischer. 2010, submitted to publication. 64. What is the conformation of physiologically-active dinucleoside polyphosphates in an aqueous solution? Conformational analysis of free dinucleoside polyphosphates by NMR and molecular dynamics simulations. N. Stern, D. T. Major, H. E. Gottlieb, D. Weizman, B. Fischer. Org. Biomol. Chem. 2010, 8, 4637 - 4652. 65. Diadenosine Poly(borano)phosphate analogues as specific NPP inhibitors. S. Eliahu, J. Lecka, G. Reiser, F. Bigonnesse, J. Sévigny, and B. Fischer. J. Med. Chem., 2010, 53, 8485-8497. 66. Investigations into the origin of the molecular recognition of several adenosine deaminase inhibitors. I. Gillerman and B. Fischer J. Med. Chem., 2011, 54, 107-121. 67. 8-(p-CF3-cinnamyl)-modified purine nucleosides as promising fluorescent probes. L. Zilbershtein, A. Silberman, and B. Fischer. Org. Biomol. Chem. 2011, 9 (22), 7763 – 7773. 68. Identification of Dinucleoside Poly(borano)phosphate Analogues as Selective and Stable P2Y Receptor Agonists. S. Yelovitch, J. Camden, G. A. Weisman, and B. Fischer. J. Med. Chem., 2012, 55, 437-448. 69. Minimally Extended Fluorescent Uridine Analogues as Potential Probes for Detection of Genetic Material. Synthesis and Spectral Properties of Uridine Analogues. Meirav Segal and B. Fischer. Org. Biomol. Chem. 2012, 10 (8), 1571 – 1580. 70. Studies of Mg2+/Ca2+ complexes of naturally occurring dinucleotides: potentiometric titrations, NMR, and molecular dynamics N. Stern, D. T. Major, H. E. Gottlieb, D. Weizman, A. H. Sayer, E. Blum and B. Fischer. J. Biol. Inorg. Chem. 2012, 17, 861-879..
71. Nucleoside-5’-phosphorothioate Analogues are Biocompatible Antioxidants Dissolving Efficiently Amyloid Beta –Metal Ion Aggregates. A. Amir, E. Shmuel, R. Zagalsky, A. Sayer, Y. Kogon, and B. Fischer. Dalton Transactions, 2012, 41, 8539 – 8549. 73. Identification of a Promising Insulin Secretagogue Based on a P2Y1 Receptor Agonist. Yelovitch, S.; Barr, H.; Camden, J.; Weisman, G.; Shai, E.; Varon, D.; Fischer, B. J Med Chem, 2012, 55, 7623−7635. 74. A Novel Scaffold: O,O’-Diester-methylenediphosphonotetrathioate- Synthesis, Characterization, and Potential Applications. A. Amir, R. Zagalsky, L. J. W. Shimon and B. Fischer. 2012, J Org Chem, 2013, 78, 270-277. 75. 8-BuS-ATP derivatives as specific NTPDase1 inhibitors. by Lecka, J.; Gillerman, I.; Munkonda, M.; Brosseau, J.-P.; Cadot, C.; Fausther, M.; Martín-Satué, M.; D'Orléans-Juste, P.; Rousseau, E.; Poirier, D.; Künzli, B.; Fischer, B.; Sévigny, J. Br. J. Pharmacol, 2013. 169(1):179-96. 76. Methylenediphosphonotetrathioate: Synthesis, Characterization, and Chemical Properties A. Amir, A. H. Sayer, A. Ezra, and B. Fischer. Inorg Chem., 2013, 52, 3133-40. 77. p-Substituted-Phenyl-Imidazolo-Cytidine Analogues as Potential Fluorescent Probes. M. Kovaliov, M. Segal, and B. Fischer. Tetrahedron, 69, 2013, 3698-3705. 78. Phosphorothioate Nucleotide Derivatives as Oxidative Stress Protectants in PC12 Cells. O. Danino, S. Grossman, and B. Fischer. Nucleosides, Nucleotides and Nucleic Acids, 32, 1–21, 2013. 79. Selective detection of mRNA of Cyclin D1 breast cancer marker by a novel duplex-DNA probe. M. Segal, E. Yavin, and B. Fischer. . J Med Chem 56, 4860-4869, 2013. 80. Highly Efficient Biocompatible Neuroprotectants with Dual-activity as Antioxidants and P2Y-Receptor Agonists. S. Azran, D. Forster, O. Danino, Y. Nadel, G. Reiser and B. Fischer. J Med Chem, 56, 4938-4952, 2013. 81. Sp-2-propylthio-ATP-α-B and Sp-2-propylthio-ATP-α-B,β-γ-dichloromethylene are novel potent and specific agonists of the human P2Y11 receptor. Haas M., Ben-Moshe I., Fischer B., Reiser G. Biochem Pharmacol, 86, 645-655, 2013. 82. Adenosine-5'-α-borano, β,γ-dihalomethylene- tri-phosphate analogues as potent and selective NPP inhibitors. J. Lecka, G. Ben-David, S. Eliahu, J. Pelletier, J. Oscar Jr., P. Luyindula, B. Fischer, H. Senderowitz, and J. Sévigny. J Med Chem, 56, 8308-8320, 2013. 83. Characterization of Complexes of Nucleoside-5’-Phosphorothioate Analogues with Zinc Ions. A. H. Sayer, Y. Itzhakov, N. Stern, Y. Nadel and B. Fischer. Inorg. Chem., 52, 10886–10896, 2013. 84. Rules for the design of highly fluorescent probes: 8-(substituted cinnamyl)-adenosine analogues. Lital Zilbershtein, Michal Weitman, Dan-Thomas Major, and Bilha Fischer. J. Org. Chem. 78(23):11999-2008, 2013. 85. Nucleoside-2’,3’/3’,5’-Bis(thio)phosphate Analogues are Promising Antioxidants Acting Mainly via Cu+/Fe2+ Ion Chelation. B. Levi Hevroni, A. H. Sayer, E. Blum, and B. Fischer. Inorg. Chem. 53, 1594–1605, 2014. 86. Nucleoside 5'-phosphorothioate derivatives are highly effective neuroprotectants. O. Danino, N. Giladi, S. Grossman, and B. Fischer. Biochem. Pharmacol. 88, 384-392, 2014. 87. 5-OMe-uridine-5’-O-(α-boranodiphosphate), a novel nucleotide derivative highly active at the human P2Y6 receptor protects against death-receptor mediated glial apoptosis. M. Haas, T. Ginsburg-Shmuel, B. Fischer, G. Reiser, accepted to publication, Neuroscience Letters, 578, 80-4, 2014. 88. Detection of Cyclin D1 mRNA by hybridization sensitive NIC - oligonucleotide probe. M. Kovaliov, M. Segal, P. Kafri, E. Yavin, Y. Shav-Tal, and B. Fischer. Bioorg. Med. Chem. 22, 2613-2621, 2014. 89. Development of fluorescent double-strand probes labeled with 8-(p-CF3-cinnamyl)-adenosine for the detection of cyclin D1 breast cancer marker L. Zilbershtein-Shklanovsky, P. Kafri, Y. Shav-Tal, E. Yavin, and B. Fischer. E. J. Med. Chem., 79, 77-88, 2014. 90. Highly potent and selective NPP1 inhibitors based on ATP - (α or γ) thio - (α, β or β, γ)-methylene scaffold. Y. Nadel, Y. Gliad, J. Lecka, G. Ben-David, H. Sendrowitz, J. Sévigny, D. Förster, G. Reiser, J. Camden, G. A. Weisman, and B. Fischer. J. Med. Chem. 57, 4677–4691, 2014. 91. 2-Hexylthio-β, γ -CH2-ATP is a specific NTPDase2 inhibitor. I. Gillerman, J. Lecka, L. Simhaev, M. N. Munkonda, M. Fausther, M. Martín-Satué, H. Senderowitz, J. Sévigny, and B. Fischer. J. Med. Chem. 57 (14), 5919–5934, 2014. 92. Phenyl-Imidazolo-Cytidine Analogues: Structure-Photophysical-Activity Relationship and Potential Use for SNP Typing. M. Kovaliov, M. Weitman, D. T. Major, and B. Fischer. J. Org. Chem. 79(15):7051-62, 2014. 93. Novel Cu(I)-Selective Chelators Based on a Bis(phosphorothioyl)amide Scaffold. Fischer, B.; Amir, A.; Ezra, A. Inorg. Chem. 53(15):7901-8, 2014. 94. Synthesis and Evaluation of a Novel Photoresponsive Quencher for Fluorescent Hybridization Probes. M. Kovaliov, C. Wachtel, E. Yavin, and B. Fischer. Org. Biomol. Chem. 12, 7844-7859, 2014. 95. Adenosine/Guanosine-3',5’-Bis-Phosphate as Biocompatible and Selective Zn2+-Ion Chelators. Characterization and Comparison with Adenosine/Guanosine-5’-Di-Phosphate. A. H. Sayer, E. Blum, D. T. Major, A. Vardi-Kilshtain, B. Levi Hevroni, and B. Fischer. Dalton Trans. 44, 7305-7317, 2015. 96. ATP-γ-S-(α,β-CH2) protects against oxidative stress and amyloid beta toxicity in neuronal culture. Ortal Danino, Shlomo Grossman and Bilha Fischer. BBRC, 460, 446-450, 2015. 104. An eNPP1-specific inhibitor attenuates extracellular ecto-pyrophosphatase activity in human osteoarthritic cartilage: implications for the development of a CPPD disease modifying drug. Ortal Shimon, Shuli Sabetsky, Sarah Kenigsberg, Asaf Levin, Shani Journo, Aviram Gold, Michael Drexler, Ori Elkayam, Bilha Fischer and Uri Arad. Rehumatology, 2018; 57(8):1472-1480. 105. Highly Selective and Potent Ectonucleotide Pyrophosphatase-1 (NPP1) Inhibitors Based on Uridine-5’-Phosphorodithioate Analogues. Vadim Zelikman, Julie Peltier, Luba Simhaev, Aviad Sela, Fernand-Pierre Gendron, Guillaume Arguin, Hanoch Senderowitz, Jean Sevigny, and Bilha Fischer. J. Med. Chem. 61, 3939-3951, 2018. 106. A Promising Drug Candidate for the Treatment of Glaucoma Based on a P2Y6-Receptor Agonist. Orly Weinreb, Vijay Singh, Mudit Dixit, Tamar Ginsburg-Shmuel, Jesus Pintor ,Begoña Fonseca, Dan T. Major, and Bilha Fischer. Purinergic Signal. 2018; 14(3):271-284. 107. Adenine-(methoxy)ethoxy-(phosphoryl)methylene)phosphonate is a promising NPP1 inhibitor attenuating extracellular ecto-pyrophosphatase activity in human chondrocytes. M. Nassir, U. Arad, S. Lee, S. Journo, S. Mirza, C. Renn, X. Luo, C. E. Müller, and B. Fischer. Purinergic Signalling, under revision, 2019. 108. Synthesis and Photophysical Properties of Conjugates of Green Fluorescent Protein (GFP) Chromophore and 2’-deoxy-Uridine as Potential Probes. A. Saady and B. Fischer. Submitted to publication, 2019. 109. Aminomethylene-Phosphonate Analogue as a Cu(II) Chelator: Characterization and Application as an Inhibitor of Oxidation Induced by Cu(II)-Prion Peptide Complex. N. Cohen Pariente, E. Lo Presti, S. Dell’Acqua, T. Jantz, L. J. W. Shimon, N. Levy, L. Elbaz, L. Casella, and B. Fischer. Submitted to publication, 2019. 110. Styryl Quinolinium Near IR Dyes - Microwave-assisted Synthesis and Photophysical Characterization. A. Saady and B. Fischer. Submitted to publication, 2019. Medicinal Chemistry – development of drugs for the treatment of - type II diabetes, glaucoma, Alzheimer’s disease, osteoarthritis, and inflammatory bowel diseases; Diagnostics – development of fluorescent probes for diagnostics of breast cancer; Purinergic receptors; nucleotide metabolizing enzymes; chemistry of nucleosides/nucleotides and nucleic acids. 1. Biologically Active ATP Analogues. Fischer, B.; Maillard, M.; Jacobson, K. A. US5620676, 1997. 2. 8-Substituted 1,3,7-Trialkyl-Xanthine Derivatives. Jacobson, K. A.; Karton, Y.; Gallo-Rodriguez, C.; Fischer, B.; van Galen, P. J. M.: Maillard, M.; US5861405, 1997. 3. C8 Substituted Purine Nucleotide Analogues. Gendron, F.-P.; Halbfinger, E.; Beaudoin, A. R.; Fischer, B. US patent 6,617,439, 2003. 4. Antidiabetic 2-Substituted-5’-O-(1-Boranophosphate) Adenosine Derivatives. Fischer, B.; Kleiman, V.; Linck, N.; Chapal, J.; Petit, P. US Patent (pending) 10/493,461, SA patent (pending) 2004/2697, 2004. 5. Inorganic Boranophosphate Salts. Fischer, B.; Nahum, V. US Patent No. 7,338,669, 2008. 6. Fluorescent N2,N3-etheno purine (2'-deoxy) riboside derivatives and uses thereof. Fischer, B.; Sharon E. Patent No. 7,385,051, 2008. 7. Antidiabetic diuridine poly(borano)phosphate derivatives. Fischer, B.; Nahum, V. US Patent No. 7,319,093, 2008. 8. Dinucleoside poly(borano)phosphate derivatives and uses thereof. Fischer, B.; Nahum, V. Patent No. 7,368,439, 2008. 9. Non-Hydrolyzable Nucleoside di- or tri- Derivatives and Uses Thereof. Fischer, B.; Elyahu, S.; Yellovich S. PCT Application No. IL2008/001535, 2008. 10. Inorganic phosphate derivatives, nucleotides and oligonucleotide antioxidants. Provisional patent. Fischer, B.; Richter, Y; Baruch, R.; Zion Meirav. Application No. 61/213,397, 2009. 11. A potent agent for reducing intraocular pressure. Fischer, B.; Elyahu, S.; Pintor, J. US Prov. Application No. 61/282,133, 2009. 12. Nucleoside 5'-phosphorothioate analogues and uses thereof. CIP appl. no. : 14/479,181, B. Fischer, O. Shimon, Y. Nadel, U. Arad; 2014.
watch this video, I'm sure you'll enjoy the treat! Recipient of the Zvi Yanay PhD scholarship.